Medical, political and patient organisation specialists were put through their paces on topics affecting delivery of cancer care at a lively UK Oncology Forum meeting, reports Louise Bellamy. Would abolishing the Cancer Drugs Fund (CDF) lead to better and earlier access to drugs across the UK? This was the opening question put to a distinguished panel of five at last week’s UK Oncology Forum1 in a BBC Question Time-style forum chaired by broadcaster and journalist, Peter Sissons in front of an audience of health care professionals (HCPs). In responding on the topic, the speakers – who came from medical, political and patient organisation backgrounds – felt that this wouldn’t necessarily mean fairer access and that there needed to be a way of ensuring there was not a postcode lottery so that people could be prescribed the drugs they needed. Dr Clive Peedell, consultant clinical oncologist at James Cook University Hospital, Middlesbrough and co-founder and co-leader of the National Health Action Party, commented that investment in health watchdog NICE was needed instead, and stressed how massively underfunded the NHS was. Professor Daniel Hochhauser, a renowned consultant in medical oncology at University College Hospital London, made the point that the CDF was only ever designed as a short-term mechanism to bypass NICE and the panel agreed that a long-term solution was needed, but what form that would take had not yet been decided. Views diverged on the question of whether the Saatchi Bill was needed to provide an alternative to palliative care. The Bill was intended ‘to encourage responsible innovation in medical treatment (and accordingly to deter innovation which is not responsible)’. Those in favour of the Bill felt the thing that was stifling innovation was doctors’ reluctance to deviate from standard treatment for fear of litigation. Clive Peedell referred to it as a “zombie bill”, which was potentially very dangerous as it was based on the idea that innovation was being prevented by doctors for fear of claims of medical negligence. Kate Farnell, two-time cancer survivor and founder of the first thyroid cancer patient support organisation in the UK: Butterfly Thyroid Cancer Trust, backed the Bill, commenting that frameworks had to be stringent and patients had to be safe, but they also needed to have hope. Countering her, Daniel Hochhauser said that, although it was important for patients to have hope, it shouldn’t be false hope. He called the proposal a “Quacks’ Bill” and was unable to see any benefit in it. Co-chair of the Cancer Nursing Partnership (CNP) and Nurse Consultant for Living With & Beyond Cancer at The Royal Marsden NHS Foundation Trust, Natalie Doyle agreed that it shouldn’t engender false hope. Audience member Dr John Symons, Director of the CUP Foundation and a member of the Cancer52 Leadership Team, addressed the panel, saying that he had yet to meet a patient opposed to the Saatchi Bill, which had shone a spotlight on research and innovation: “We’re not moving as fast in research in complex areas as countries like the US and we have extremely talented scientists whose hands are tied so we need to speed up research,” he stated. Clive Peedell responded that the Bill would damage cancer research and that a Bill based on false hope was not going to help with cancer research or help cancer patients. He pointed out that Cancer Research UK, the Wellcome Trust, Parkinson’s UK and the British Heart Foundation had all opposed Lord Saatchi’s “clever PR campaign” and highlighted that he had created a number of successful advertising campaigns, including the one for Silk Cut cigarettes. Jeffrey Donaldson felt that the Bill should be given another chance as he thought it offered something to people facing a terminal illness who wanted the opportunity to try something different. Moving on, Dr Richard Simcock, Consultant Clinical Oncologist at Brighton and Sussex University Hospitals said that he was enormously proud of end-of-life care and asked the panel whether this should be fully funded through taxation, as opposed to charities. Jeffrey Donaldson expressed concern over how the increasing demands resulting from people living longer would be paid for and felt strongly that the NHS should be reformed first before expanding. Kate Farnell said people cared for in a hospice had a more peaceful and comfortable experience than those ending their lives on a trolley in A&E or on a cancer ward. She felt hospices shouldn’t be fully funded by taxation as there were charities committed to this who were investing a lot of time and funding. Clive Peedell referred to funding from charities as “regressive” and his comment that it was often the poorest who donated, giving the wealthy an escape, resulted in vociferous protests. Jeffrey Donaldson pointed out that a huge number of corporate companies donated to charity. Daniel Hochhauser referred to the hospice service as “the envy of the world” and, although the panel did agree that hospice care benefitted many patients, there were mixed views on whether this should be fully funded by taxation. Commenting on how Britain could improve its spend in cancer, Daniel Hochhauser said there had been a fantastic improvement in cancer care over the last 10 years and benefits would come from prevention and early diagnosis. Natalie Doyle agreed, stressing the importance of public health campaigns as an excellent way of educating the population about the effects of diet, alcohol, physical activity and smoking on long-term health. Jeffrey Donaldson cited NHS England Chief Executive Simon Stevens in saying that, despite the fact that life expectancy in the UK was at its longest ever, binge drinking costs the economy £5 billion/year and junk food and couch potato lifestyles were normalising obesity. Prevention was critical and it was at the forefront of the NHS Five Year Forward View. Kate Farnell agreed that prevention was key, but added that a lot of rare cancers could not be prevented and pointed out that the UK was a lot better than other European countries in terms of tackling rare cancers. Clive Peedell outlined the fact that those brought up in poverty had reduced life expectancy and he felt society needed a fairer balance. The panel was also quizzed on whether £8 billion was enough to resolve the financial problems faced by the NHS and put into effect the recommendations of Lord Carter, who had reviewed 22 hospitals and concluded that by making better use of staff, using medicines more effectively and getting better value from the huge number of products the NHS bought, billions a year could be saved by 2020. Jeffrey Donaldson said the health system needed to do things more effectively over the next five years and added that people would be prepared to pay more for healthcare if they felt their money was being put to good use. Kate Farnell, meanwhile, felt that the majority of patients could not comprehend the cost of drugs in the NHS and that, if they did, they would be happy to pay a bit more, although she didn’t think there would ever be enough money. Natalie Doyle remarked that, as more and more people were living with long-term conditions, there was a growing need to help them to self-manage. Austerity was the biggest problem in the NHS according to Clive Peedell, who said those in charge had a professional duty to look into this, as healthcare spending promoted economic growth. Daniel Hochhauser concluded that more should be spent on prevention, treatment, research and end-of-life care, but questioned how investment could be made in all these areas. Though there was consensus on the importance of early diagnosis and prevention, the divergent views of the panel on funding demonstrated the ongoing difficulties around dividing limited resources. 1The ninth UK Oncology Forum took place on 11 and 12 June in Manchester, UK. This year’s meeting was organised by Athena Meetings & Events and supported by pharma companies including Sanofi, Bayer, Novartis, Takeda, Ipsen and Celgene. 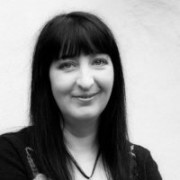 Louise Bellamy is senior manager, pharmaphorum healthcare partners. Louise has a background in the management of multi-stakeholder, collaborative projects, having worked for over 10 years across a number of industries, including market research, translation and publishing. 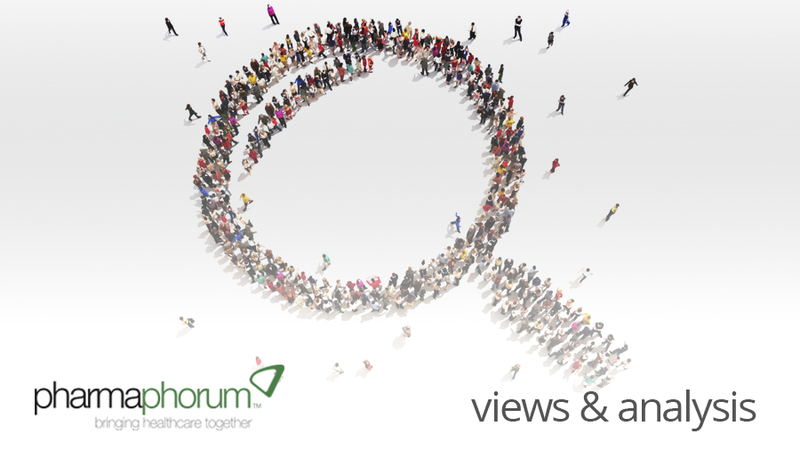 pharmaphorum healthcare partners uses its strong networks to unite patient organisations and charities with pharmaceutical companies and other commercial providers in communicating a common objective, bringing healthcare together to drive brand value and better patient outcomes.